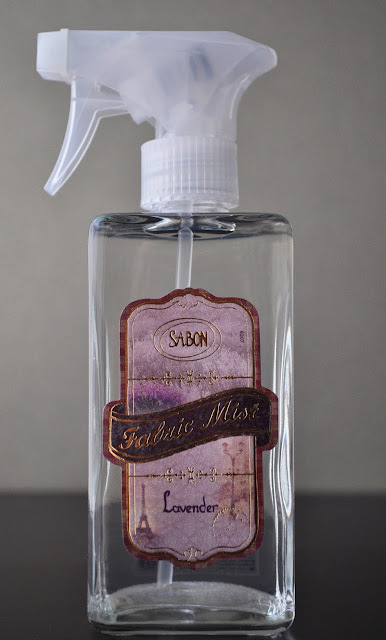 Continuing my love-on for Sabon, I finally purchased an item I've been wanting for some time now: the lavender fabric mist. I've never used linen spray before. However, being that this product is from Sabon, I'm game. The fabric mist's thick, hefty glass bottle has a romantic vintage-like label, featuring images of faded rows of lavender (I assume this is meant to be Provence), the Eiffel Tower, and a two-lamp streetlight. My only issue with the packaging is the color of the spray trigger head. Instead of a transparent white plastic, I wish the spray head was the same vintage bronze coloring as the shower oil's pumps; the color would match the label perfectly and add to the packaging's beautiful aesthetic. "Based on a unique and safe formula that will not damage fabric. Sabon Fabric Mist refreshes and leaves a long-lasting, delicate and pleasant scent on clothes, furniture, linens, drapes, mattresses and closets." All of the brand's scents have this unique signature blend of fragrances that unquestionably let's you know, "this is Sabon." The soothing scent of lavender is delicate, crisp and sophisticated. I want to spray everything with it! I've sprayed the lavender fabric mist of my throw pillows, my bedroom pillows, closets, and even inside my car. My favorite thing to do it spray all of the curtains in my apartment, open all the windows, and catch the scent as the breeze carries it through the room. 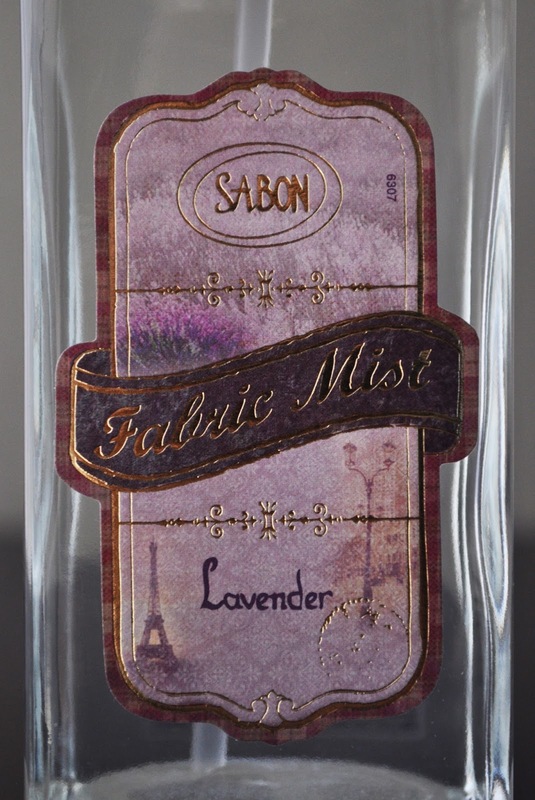 To my fellow lavenderophiles out there, you need a stockpile of this incredible mist. 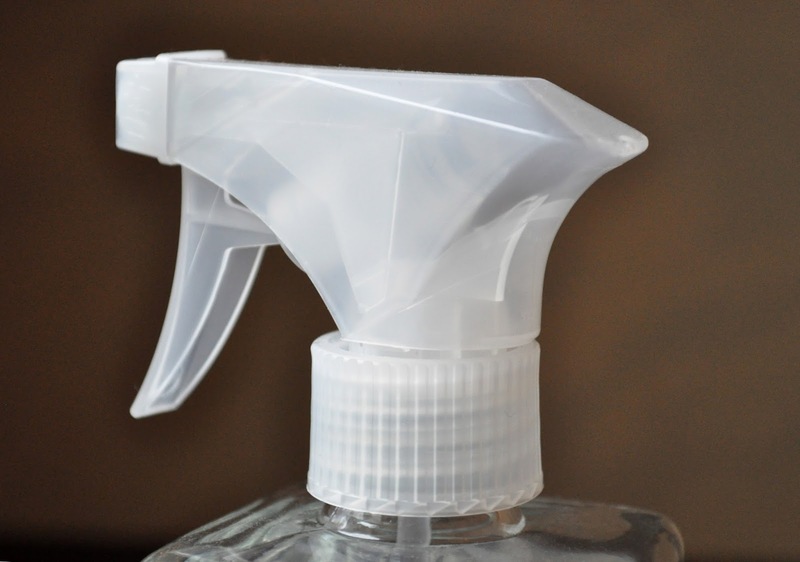 The bottle is lovely but that spray head makes it look kind of like a window cleaner. I wish I could try Sabon! Maybe when I'm in the US next. I wish they would replace the spray head, and give it a little oomph. What! You don't have Sabon on Canada?! Wish I could mail you some, but I think the parcel would get snagged at customs.